Ships tomorrow if you order in the next 22 hours 7 minutes. The human body works hard to maintain a healthy balance of estrogen and testosterone, but sometimes that balance may be thrown off. 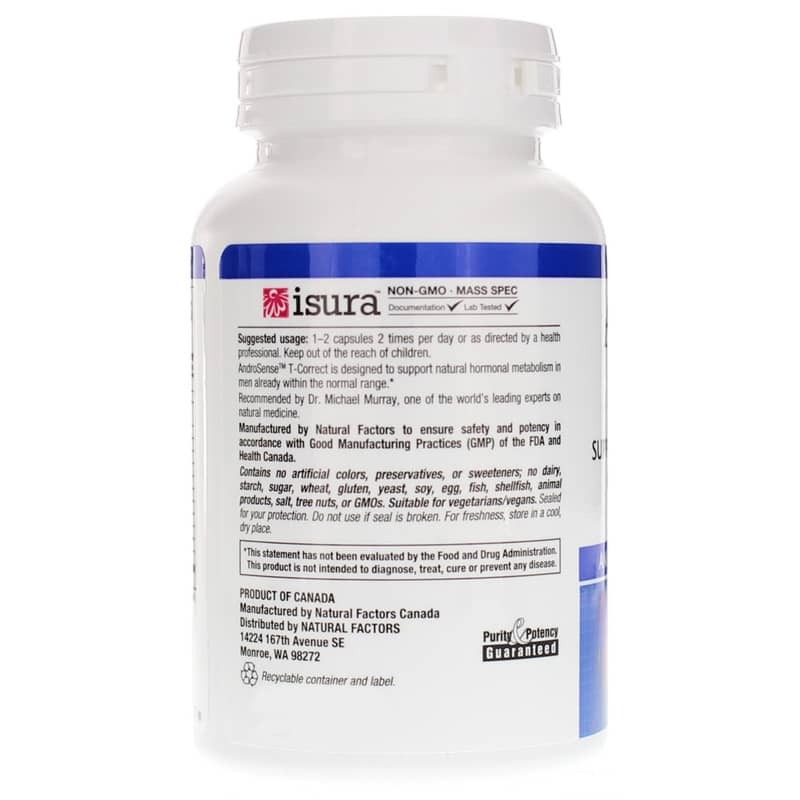 If you've been searching for a way to support and maintain a healthy hormone balance as you get older, Natural Factors offers a great option. 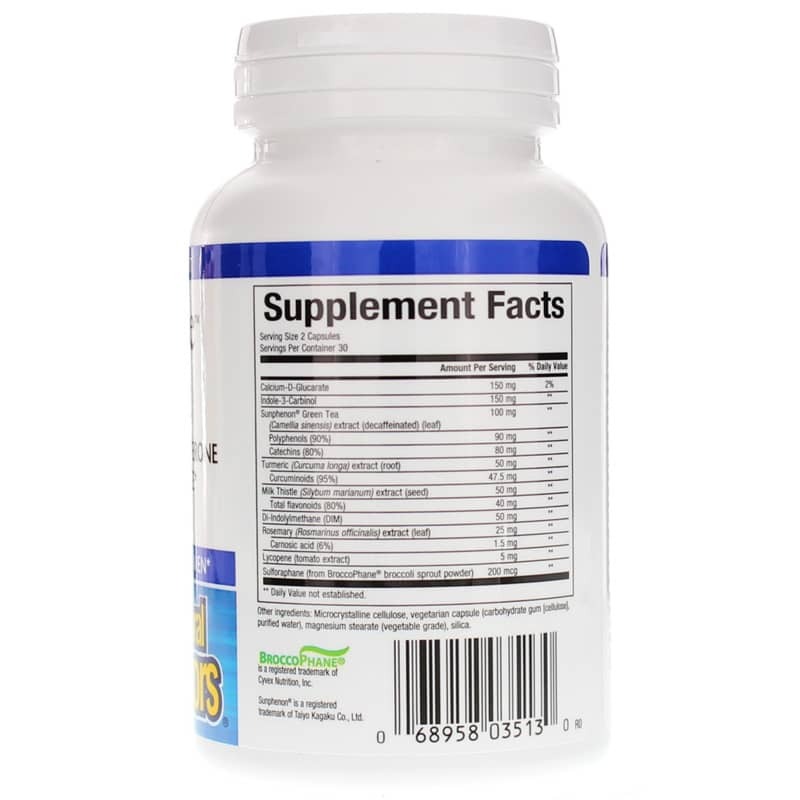 AndroSense™ T-Correct is an advanced dietary supplement for men that helps support and maintain a normal estrogen and testosterone balance, and also supports optimal overall health and wellness. 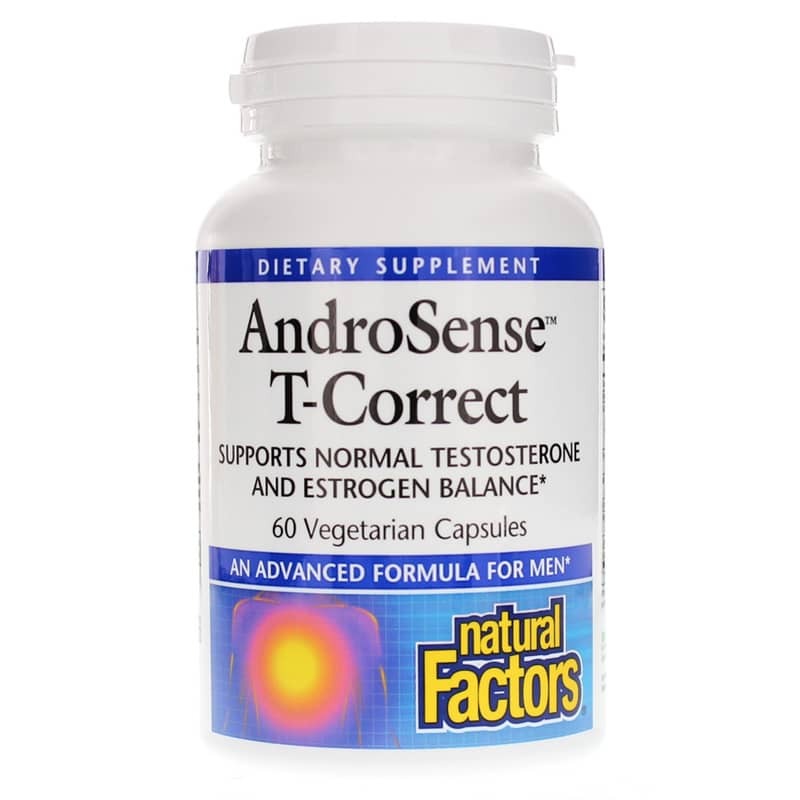 Every batch of AndroSense™ T-Correct from Natural Factors comes in a vegetable capsule form that is easy for adults of all ages to swallow. Just one or two capsules twice every day may help keep you on the all-natural pathway toward optimal overall health and an increased sense of wellness. Other Ingredients: microcrystalline cellulose, vegetarian capsule (carbohydrate gum [cellulose], purified water), magnesium stearate (vegetable grade), silica. Contains NO: dairy, starch, sugar, wheat, gluten, yeast, soy, egg, fish, shellfish, animal products, salt, tree nuts, GMOs. Suitable for vegetarians/vegans. Adults: Take 1 to 2 capsules 2 times per day or as recommended by a healthcare professional.